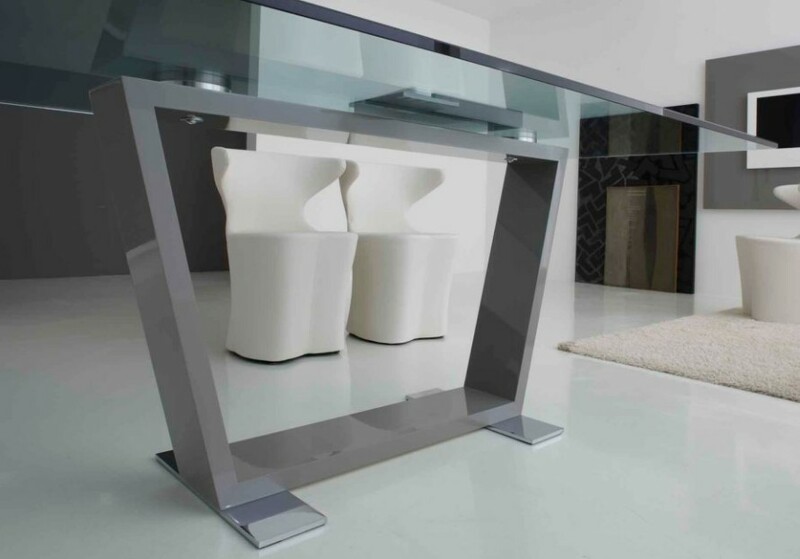 Dining table with a rectangular top in transparent glass (tempered, 19mm thick). 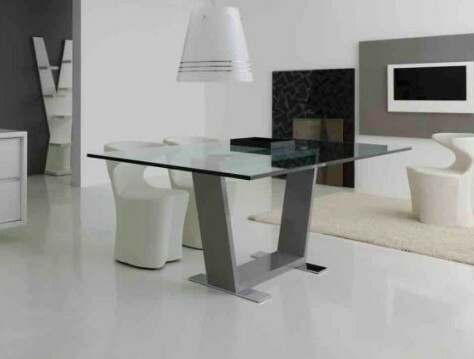 Wooden base with a glossy white or dove gray finish. Polished steel feet.